District nurses play a vital role in keeping patients out of hospital by providing care in their own homes, but official figures show their numbers have nearly halved since 2010. 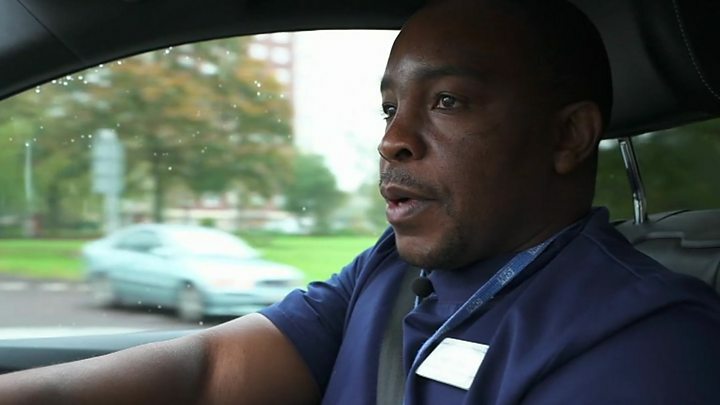 In the Seacroft area of Leeds, community matron Temba Ndirigu is driving to see his first patient of the day. He pulls up in front of a semi-detached house and calls out a cheery “Hello!” as he steps through the front door. In a front room converted into a bedroom, he finds Maurice Welbourn and his wife Nora. Maurice has suffered a stroke, throat cancer, diabetes and has liver problems, all of which have left him dependent on the support of his wife and the community health team. Nora has also developed Parkinson’s disease, meaning Maurice’s main carer is also herself in need of support. She says that without people like Temba, her husband would constantly be in and out of hospital. “No matter what time of the day, you can ring them any time, the district nurses, you know, the carers. Despite the complexity of his health problems, Maurice is a fairly typical patient for a community health team working in one of the more deprived parts of Leeds. And for Temba and his colleagues, working in a community setting, rather than hospital, presents its own challenges. “In a hospital, it is your environment, you know what you’re doing, you’re more or less in charge. “In someone’s home, the tables are completely reversed. “You are a guest in their home, and this sense of being alone, it’s just you and the patient or the family. Back at base, the phones are ringing as the team try to manage a growing number of cases and it’s not easy. Service manager Lucy Hall is trying to schedule the team’s appointments for the next day, while at the same time knowing there will be unexpected calls. “For the past 18 months we have been really busy, it seems to have stepped up a notch. But as well as meeting the demand for services, there is a problem in the supply of staff qualified and willing to do this complex and demanding work. 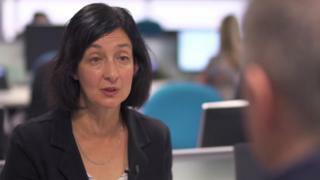 Thea Stein is the chief executive of Leeds Community Healthcare NHS Trust, which runs the district nursing team in Seacroft. “We do constantly struggle with the supply of staff to do the job we need done,” she says. Official figures also show a 46.4% drop in full-time district nurses working for the NHS in England from May 2010 to July 2017. Some of that drop may be down to nurses moving to work for other health organisations outside the NHS. But the Royal College of Nursing says the data reflects a recent survey it carried out that suggested community teams are being stretched to the limit. And Ms Stein says that keeping patients at home and out of hospital is a daily battle. “We just have pressure day in and day out to do it. Next we are back on the road with staff nurse Lisa Heyward, this time to check up on Colin, who has problems with his legs. Keeping patients like Colin at home rather than in hospital is central to plans for the future of the NHS in England. This is work often unseen, requiring dedication and compassion. But it is vital if the health service is to cope with the growing number of frail, older people living with multiple health conditions.